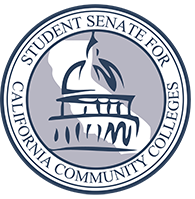 The Senate is recognized by California Community Colleges Board of Governors and Chancellor’s Office as the official voice of students in system participatory governance in accordance with Title 5, §50002. The Senate shall maintain system participatory governance as one of its mission’s three pillars of engagement and act through System Affairs Directors from each Region to facilitate the involvement of students in the same. 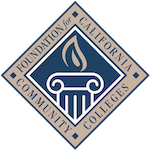 Board of Governors President Youngblood VPSA Alfaro Director Rodriguez The Board of Governors of the California Community Colleges sets policy and provides guidance for the 72 districts and 114 colleges which constitute the system. The 17-member board is appointed by the governor and formally interacts with state and federal officials and other state organizations. The Board of Governors selects a chancellor for the system. The chancellor, through a formal process of consultation, brings recommendations to the board, which has the legislatively granted authority to develop and implement policy for the colleges. The Chancellor's External Leadership Advisory Council connects the California Community Colleges Chancellor’s Office with key thought leaders, technologists, philanthropists, policymakers, and other influencers to strengthen its understanding of the national operating context for Chancellor’s Office’s work and leverage the best experience and thinking from around the country to increase the effectiveness of the California Community Colleges’ efforts surrounding the implementation of the system’s Strategic Vision. The goal of the committee is to help develop a systemwide approach to grant credit to students for skills and learning they acquire outside of college classrooms – such as in workplace or military training, standardized exams (such as AP, IB, CLEP), campus faculty-developed “challenge exams,” or portfolio assessment. The Advisory Committee comprises 25 campus and system leaders who can help think through the opportunities, benefits, and challenges related to credit for prior learning, and develop a policy and practice infrastructure to support it. 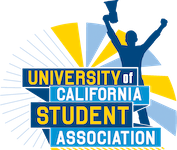 This group is working on the very unique project of bringing a key support service, health and wellness, to the California Community College (CCC) student population through the Canvas platform. Economic Development Program Advisory Committee (EDPAC) is an advisory body established to fulfill the statutory requirements of SB 1402, one of the workforce funding streams administered by the Chancellor’s Office Division of Workforce & Economic Development. The Chancellor’s Office Division of Workforce & Economic Development looks to this body to advise on the execution of the Doing What Matters for Jobs and Economy framework, which calls for the braiding of workforce‐related incentive funds under a unified framework. Additionally in 2016, EDPAC members will be engaged to advise the implementation of the 25 strong workforce recommendations approved by the Board of Governors. 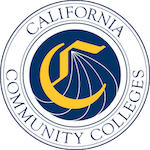 Supports the California Community Colleges in implementing activities and practices pursuant to the California Community College Guided Pathways Grant Program and activities and practices that advance the systemwide goal to eliminate achievement gaps for students from traditionally underrepresented groups. The SEM Advisory Committee meets on intermittent basis, both face-to-face and via conference calls, to support the development of the SEM-ASK. The Core Project Team provides the concepts, frameworks, research, tools, and resources for the Advisory Committee to review and provide feedback. The Advisory Committee will continue to be an integral part of the way in which the SEM-ASK tools and resources are designed, developed, and distributed to the field. 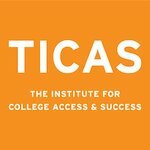 While the California Community Colleges serves the largest number of undocumented students in California, there is a lack of equitable services across the 114 campuses. Because of the current legal and political landscape, it is critical that the Chancellor's Office has a clear, data-driven understanding of how their colleges serve undocumented students. When undocumented young people are able to pursue education and careers, they can create new, brighter futures for themselves, their families, and their communities.